“I’m fit, yes. I’m skinnier, yes. It’s so I can look good on the beach!” Pozzato told Cycling Weekly. The 33-year old Italian said that he wanted to race more in the early season to be ready for the big one-day races, starting with Milan-San Remo on March 22. He went quiet when asked about the team’s manager calling him a “prima donna” last summer. Pozzato’s wins list includes the 2006 Milan-San Remo, the Tirreno-Adriatico overall, stages in the Tour de France and the E3 Harelbeke. He rode for teams Mapei, Fassa Bortolo, Quick Step, Liquigas, Katusha, Farnese Vini and as of 2013, Lampre. He placed sixth in Milan-San Remo and second in the Tour of Flanders after breaking his collarbone in 2012. After joining Lampre, he won one-day races Trofeo Laigueglia, Coppa Agostoni and GP Ouest-France in 2013. However, it went quiet in 2014. His best results were a third in a Vuelta a España stage, third in the Tre Valle Varesine and second in the Coppa Bernocchi. “My win in San Remo feels like 100 years ago. Can I match it? I’ll tell you after the classics, I’ll see what I’ve done,” Pozzato said. “I’m good, but to win is hard because the rivals are always stronger and in greater numbers. It’s hard, it’s always hard. 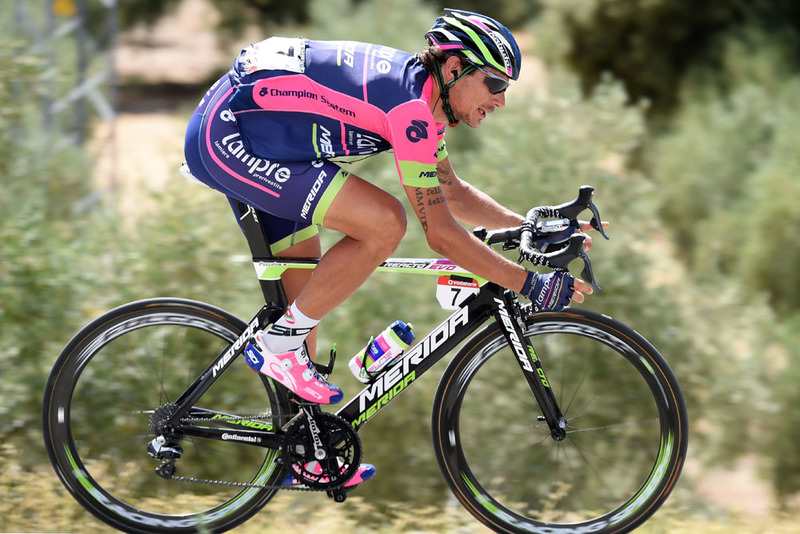 Pozzato’s three-year contract with Lampre ends at the end of 2015. Based on the results and Copeland’s comments, he could leave the team’s blue and pink colours behind. He said that it is too early to talk about 2016 when 2015 just began.